when intermingled with Phlox David's Lavender. 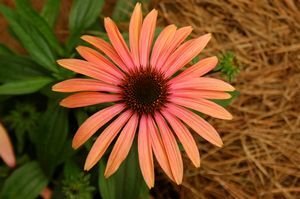 Echinacea Jupiter can reach heights of 24-36". The size of this cone flower's bloom is in its own orbit! The peach colored bloom can measure 6 inches across!